The big theme at Faction this year is clarification and the line is now super easy to understand. 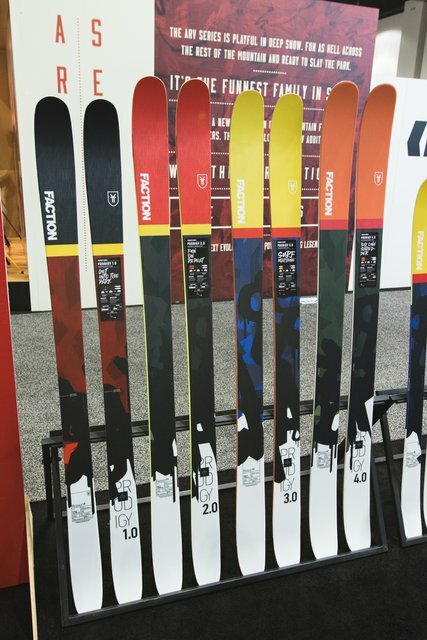 There are four ski series: Candide, Prodigy, Prime and Dictator, and each contains four skis numbered from 1.0 to 4.0. The Candide series remains the same except for additional sizing options and graphics, it's still performance focused and jib focused. 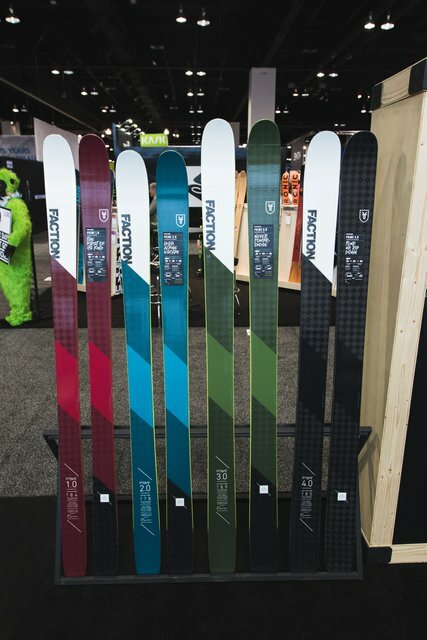 Then theres the Prodigy Series, an easier to ski alternative for all mountain/jib skiers with twin shapes, early taper and tip/tail rocker on all models. I'm pretty hyped to try these because I loved the original Prodigy for a soft playful jib ski. 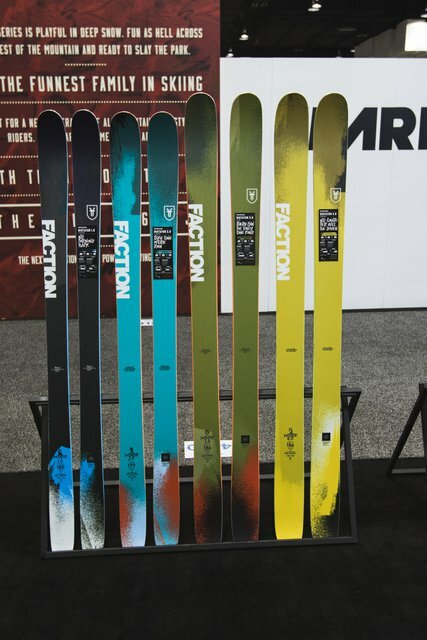 On the freeride side, you have the Prime series designed in conjunction with Sam Anthamatten. It's a range of lightweight, chargy skis for ultimate performance on both the up and down parts of your day. And last but not least the Dictator series, which replaces Faction's 'standard' models and is aimed at those of you who like to attack the mountain like it did something to offend you. 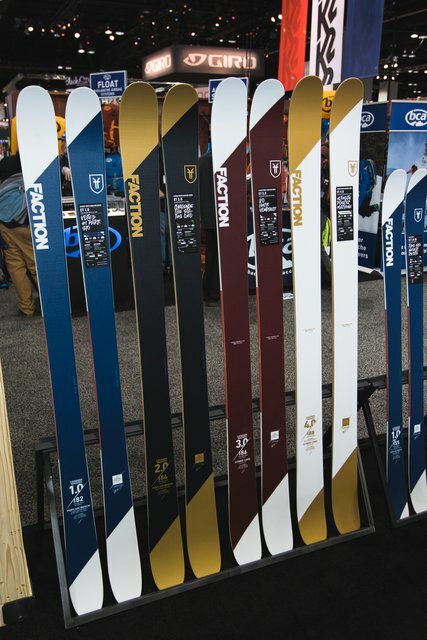 All the skis look dope and Faction look to be continuing on their upward trajectory in the industry.